Group is the largest gas transmission system owner in Australia, owning 15,000 km (9,320 miles) of pipelines representing 56 percent of Australia's gas pipeline transmission system. Treasurer Josh Frydenberg said today that he had formed his preliminary view taking into account analyses in close consultation with the Foreign Investment Review Board (FIRB) and the Critical Infrastructure Centre (CIC). "My preliminary view is not an adverse reflection on CK Group or the individual companies", says Frydenberg. "I intend to make a final decision under the formal process within two weeks", he says. The Hong Kong company a year ago bought Australian energy utility assets group Duet - which owns utility assets valued at $11.1 billion, including the Dampier to Bunbury gas pipeline in Western Australia, United Energy in Victoria and projects in the USA and UK - for $7.37 billion. "I think increasingly what governments are anxious about around the world actually is about the vulnerability of critical infrastructure to various forms of cyber hacking", he said. New laws created to counter foreign influence were enacted this past summer, and the rhetoric eased on both sides after Turnbull was replaced as Prime Minister by Scott Morrison in August. APA's spokesman had no immediate comments. The application of foreign investment policy was not discriminatory against any investor or country, Frydenberg said, and the government welcomed CK's investments in Australia and its "broader contribution to the Australian economy". Payne's visit, the first by an Australian foreign minister to China in nearly three years, was seen as marking a potential thaw in tensions in the relationship. CK companies, which aren't state controlled, are headed by the son of Hong Kong's richest man, Li Ka-shing, who retired earlier this year. It has only been blocked on one previous deal, when it bid with China's State Grid for the nation's biggest electricity network Ausgrid in 2016. The takeover had been approved by the Australian Competition and Consumer Commission, but Mr Frydenberg acknowledged the "concentration of foreign ownership" was not a question considered by the watchdog. 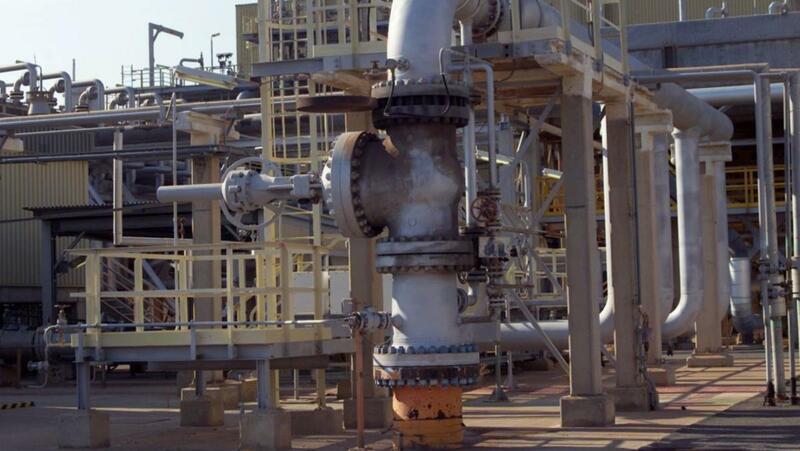 It was also made despite a pre-emptive offer by CKI to offload APA's WA assets such as the Parmelia, Goldfields and Kalgoorlie pipelines to avoid competition concerns given its ownership of the Bunbury to Dampier pipeline. APA shares closed on Thursday at A$9.51, compared with CK's offer price of A$11. Frydenberg said the proposed Aus$13 billion (US$9.4 billion) purchase of APA "would be contrary to the national interest".